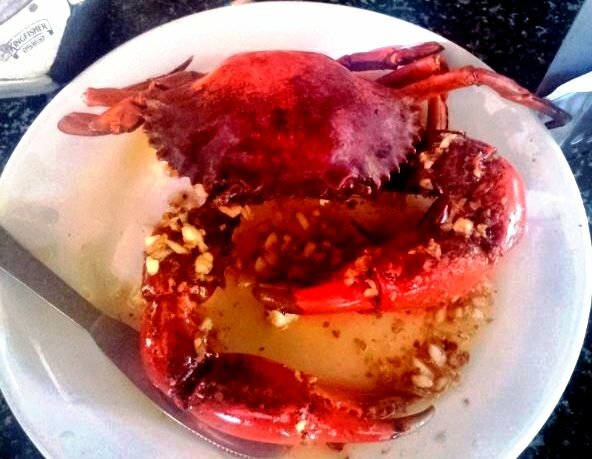 the foodietrails: food trail : crusty the crab ! food trail : crusty the crab ! On a visit to Calcutta, my Goan friends got quizzed about their homeland. 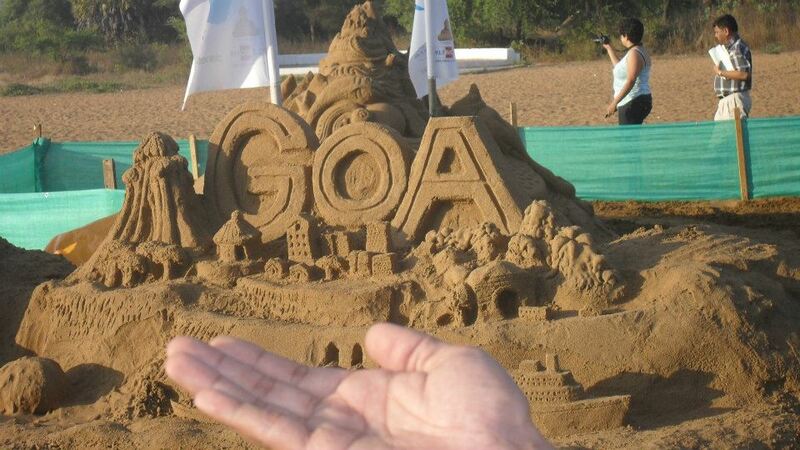 Auntyji, people who live in Goa are called Goans not goanese. Oh ok, so what like, do you speak- Goanese? Nope there is nothing called goanese, the official language is Konkani. I’d like to believe Goanese is a way of life. A life which is not only restricted to those who live in Goa but all the thousands who flock to Goa every year. 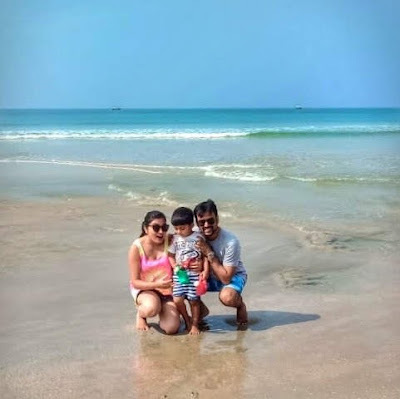 The morning walk by the sea, the partying through the night, the lazy Sunday and the afternoon siestas … Goa is popular for the sand and sea and liquor, but few would know it for the mindboggling variety of food available here. 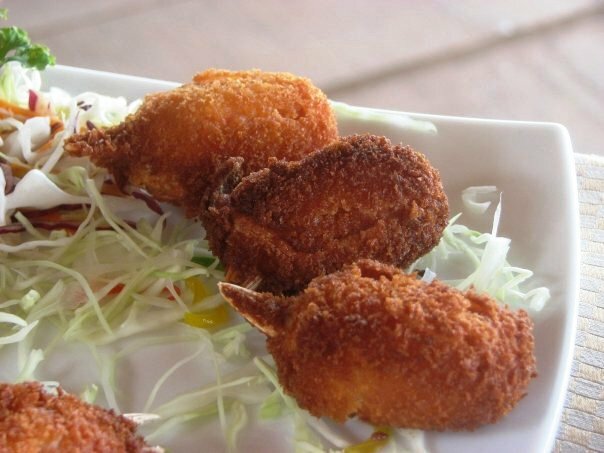 Being Goanese – that is what my series of foodie trails through Goa is going to be called. 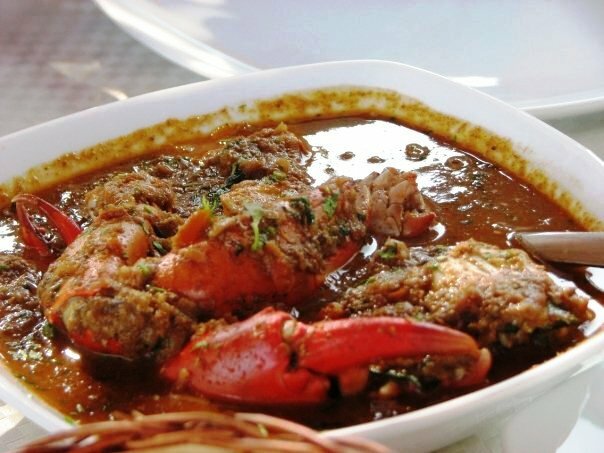 This foodie trail is a zig zag path across Goa in search of our favourite crustaceans. No place else have I seen crabs and prawns and lobsters all come together in delightful and unique flavours. 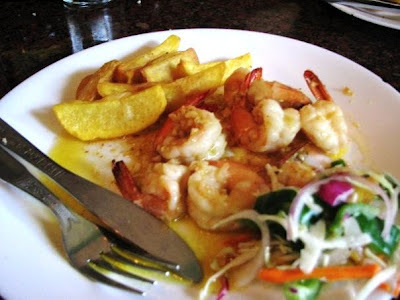 One of my all time favourite is Butter garlic prawns. Butter in itself is a magic ingredient, add to that the sharp twist of garlic lightly fried in butter, and it is capable of making anyone swoon. Most of the chefs across the world know of this winning combination and they reel in the customers with butter garlic bread at the local Italian pizza joint, or butter garlic naan at the tandoori joint. 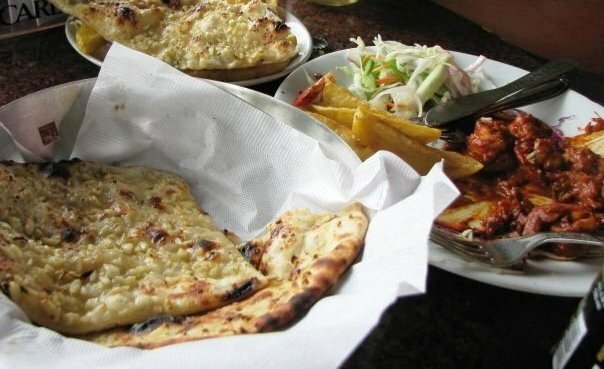 Butter garlic naan goes surprisingly well with the local favourite – the recheado. The recheado masala is a fiery red coloured paste, and the red is all red chillies and no food colouring mind you. 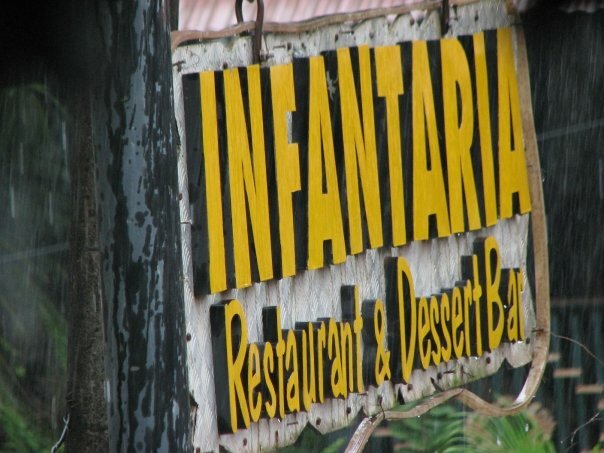 It definitely is not for the faint hearted or the weak bellied. But oh the taste! It instantly puts your taste buds on fire and the red chillies soaked in vinegar light up the whole trail from your tongue , your palate, to the back of your mouth and down the oesophagus. It makes you reach for the nearest bottle of chilled bear, or the mild butter garlic bread/naan or buttered rice to put out the fire. After the first bite wears of you can’t wait to have another go at the recheado prawns. It’s that addictive! Recheado masala is available at most super markets in Goa, so be sure to stock up on them to liven up any protein you have at home. Recheado and baked potatoes, or okra also make for nice vegetarian side dishes. Most eateries in Goa specializing in sea food, take pride in their fresh produce, and you can see the sea food displayed at the entrance. They will get the live crabs and lobsters to the table for your inspection. How you want them to prepare it is where the fun begins. 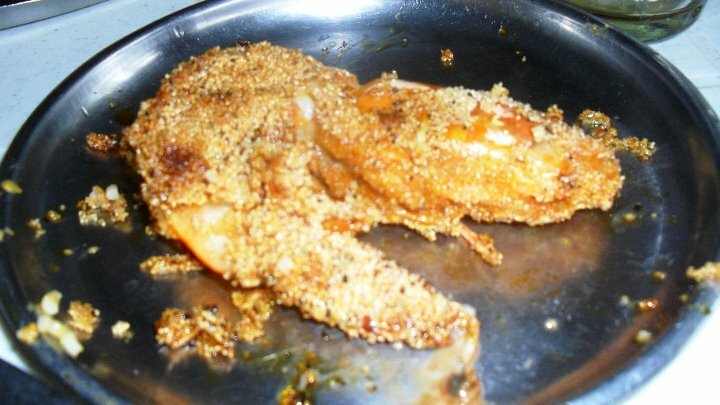 Batter fried, rawa fried, recheado masala, vindaloo curry.. we are spoilt for choice. Goa has a unique mix of portugese cuisine(partial to vinegar) and the local Indian flavouring (partial to coconut ) apart from that they cater to the wide culinary tastes of the tourists itself. 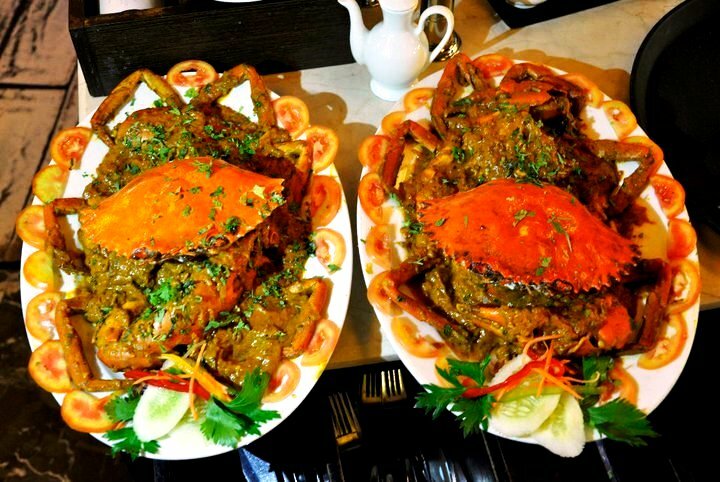 Thus you have the European or the north-Indian twist to your seafood too. The lobster thermidor is one such highly recommended dish. If you thought that was the end of the journey, you are in for a pleasant surprise. Goa has for you – stuffed crabs ( crab shell stuffed with pinced crab and prawn meat) , crab claws ( the sweet crab meat made into little dumplings and wrapped around the claw of a crab and deep fried) , devil prawns (shrimps wrapped in bacon with cocktail tooth picks for bite sized portions), jade sea food soup ( green coloured soup with an ocean full of delightful crustaceans). Goa has much to offer, and I hope to take you on foodie trails of its many wonders. South Goa : Martins Corner and Fisherman’s wharf. 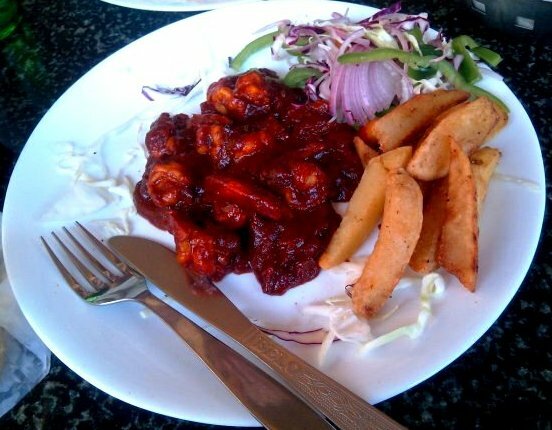 special thanks to Ekalavya Bhattacharya for some of the lip smacking pictures!